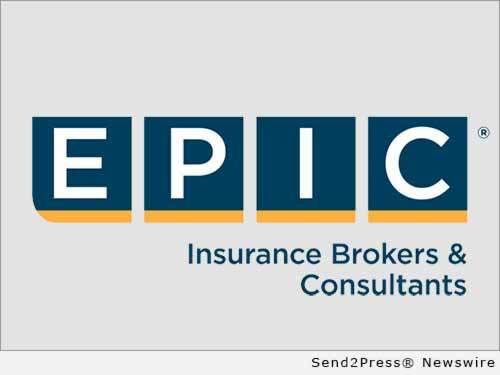 SAN FRANCISCO, Calif. /California Newswire/ — EPIC Insurance Brokers and Consultants, a retail property, casualty insurance brokerage and employee benefits consultant, today announced the launch of a proprietary Cyber Risk and Insurance Platform, tailored to the unique needs of small and mid-sized businesses who are increasingly the most desirable targets of Cyber-attacks. The initial offering of EPIC’s Financial Risk Solutions Specialty Group, the EPIC Cyber Risk Insurance platform offers comprehensive, customized, cost-effective coverage from leading industry underwriters. Pricing indications are simply and securely available online, through the EPIC Cyber Risk Insurance portal. “All businesses increasingly rely on information technology and the Internet and the threat of cyber-attacks and breaches are real and on the rise,” said John Hahn, CEO of EPIC. * 50 percent of Cyber-attacks target businesses with less than 1,000 employees. * It takes the average company 205 days to detect an intrusion (nearly 7 months). * 69 percent of companies learn they have been breached through a third-party (often a client). * 700 million records were compromised in 2015. * The estimated average cost of a data breach in 2016 now tops $4 million. * Despite these threats, 75 percent of small and mid-sized businesses have no coverage. In addition to state of the art insurance protection, in the event of a data breach the Financial Risk Solutions team works closely with EPIC clients to help manage the costs associated with investigation, response, regulatory inquiries, lawsuits and reputational fallout that are all a part of the cyber breach response process. To learn more about EPIC’s Cyber Risk Insurance Platform for small and mid-sized businesses, please join us for the webinar being held on Wednesday, October 26, 2016 at 11 a.m. PDT. You can register by visiting the events page on the EPIC Website at: http://www.epicbrokers.com/event/cyber-education-webinar/#tabs. For additional information please contact your EPIC representative or the EPIC Financial Risk Solutions Resource Group at frs@epicbrokers.com. With more than $250 million in revenues, EPIC ranks among the top 20 retail insurance brokers in the United States. Supported by the Carlyle Group, the company continues to expand organically and through strategic acquisitions across the country. For additional information, please visit http://www.epicbrokers.com/.